A television reporter interviews people on the street to find out about the disappearance of the President of Cameroon, days before the election. Kamukama, Polly. 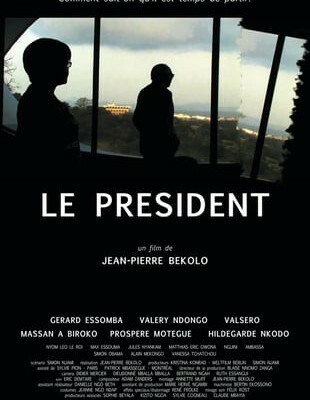 “DIFF Student Review – The President: A Satirical Attack on Cameroon’s Leader.” City Press. City Press, 25 July 2013. Web. 8 May 2014.